You do not inherit a cancer, you inherit an increased risk of developing a cancer. The Oncogenetic Clinic, within the Prevention and Screening Clinic at the Jules Bordet Institute and in partnership with the Genetics Centre at the Université Libre de Bruxelles, uses the latest technology to study the impact of the genes involved in the development of certains cancers. For the vast majority of cancers heredity is not a factor. Just 10% among certain types of cancer (breast, colon, pancreas, endometrium or melanoma, to cite the most important) relate to a hereditary syndrome, that is, a mutated gene transmitted from one generation to the next that increases the risk of developing a cancer for those individuals who inherit it. What is the purpose of an oncogenetic consultation? 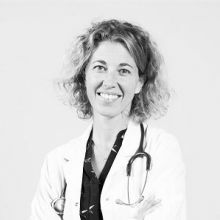 An oncogenetic consultation serves to exclude the hereditary factor as a possible major explanation for the development of your cancer or that of any family members. When to request an oncogenetic consultation? Generally, an oncogenetic consultation is proposed if there is a predisposition for cancer in your family, i.e. when several family members, and possibly yourself, have had cancers of the same type, early onset or multiple. If this is the case, you will usually be directed to the Oncogenetic Clinic, either by your GP or by a specialist (oncologist, gastroenterologist, dermatologist, etc.). If a family member has already undergone genetic tests and it was confirmed that he or she carries a mutated gene that brings an increased risk of cancer, you are then advised to make an appointment with the Oncogenetic Clinic for what is known as a "pre-symptomatic" consultation. If you are concerned because you suspect you carry a genetic mutation associated with an increased risk of cancer, first discuss this with your GP or specialist who, if he considers it necessary, will then direct you to an oncogenetic consultation (costs paid by your health insurance.). Your GP or a specialist has advised you to attend for an oncogenetic consultation. To prepare most effectively for your visit you are requested to assemble as much medical information as possible concerning family members who have developed a cancer, that is: a comprehensive list of family members (on your father's and your mother's side) who have suffered or are suffering from a cancer, the type of cancer and their age at the time of the cancer diagnosis. On the basis of this information the first stage of the consultation will consist of drawing up, with the oncogenetics coordinating nurse, a family tree that will make it possible to reconstitute your personal and family history. Following this consultation the oncogeneticist will discuss with you whether or not it is necessary to carry out a genetic test for a hereditary predisposition for cancer. If, following the consultation, you are not prescribed a genetic test by the oncogeneticist this is because there is no reason to think that the development of cancers in your personal/family history is associated with a major hereditary origin. On the basis of the information gathered the oncogeneticist will recommend an optimal pathway in terms of follow-up or screening, both for you and family members. If you are prescribed a genetic test, then as a rule a blood sample is taken the same day for subsequent DNA extraction and analysis. This genetic test will make it possible to determine whether or not you have inherited a major predisposition to develop cancer. The various stages in the DNA analysis take about three months. You must make a second appointment with your oncogeneticist to learn the results. On the basis of which the oncogeneticist will provide you with personalised recommendations for follow-up, screening and prevention for you and your family. At the Jules Bordet Institute a fast track or urgent pathway is available for exceptional cases where the genetic analysis could indicate particular approaches to be adopted immediately in treating a patient having developed a cancer. At every stage and irrespective of the diagnostic outcome, a team of psycho-oncologists is present to assist you in formulating any questions regarding heredity, risks of transmission, etc. They are there to accompany, support and assist you in processing and managing the information you are given. You should not hesitate to contact them, either yourself or family members, for answers to any questions that may arise regarding the procedures as set out. Phase III multicenter, randomised, double-blind trial, evaluating the effectiveness and tolerance of Olaparib versus placebo (control group) as an adjuvant treatment among patients carrying a germline mutation of the BRCA1/2 genes.